PlushGrass Custom Synthetic Turf is Denver's locally owned and family operated showroom and installers of artificial grass lawns and putting greens along Colorado's Front Range. Our staff has over 50 years of combined experience in the synthetic turf industry. PlushGrass is truly a one-stop-shop for artificial grass projects and we are open to the public as well as landscape professionals. Artificial grass eliminates mowing, trimming, watering, and fertilizing your yard. Never worry about hard-to-grow spots due to sun overexposure or too much shade. Our turf offers a safe and friendly alternative to grass for children, family pets, or for places where grass traditionally may not grow, such a rooftop. In addition to lawns we also install artificial grass projects like dog runs, playgrounds, athletic areas, and more. 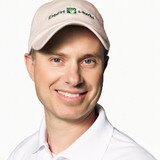 PlushGrass is partnered with Celebrity Greens - the country's premier builder/designer of synthetic grass putting greens with a client roster including actor Samuel L. Jackson, singer Adam Levine, former NASCAR driver Rusty Wallace, PGA Tour Pro Paul Casey, and golf instructor Hank Haney. 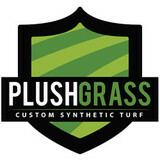 PlushGrass only uses lead-free, American made synthetic turf. Synthetic lawns are very low maintenance landscape options as they require no water which will drastically cut your water bill as well as helping to conserve our precious Colorado water resources. We are a Small Family Owned Sprinkler Company Specializing and Certified in Sprinkler Systems, ( That Saves you Money ) , And we also offering other Landscape Products. 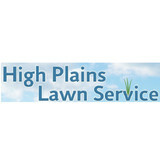 High Plains Lawn Service provides professional and high quality lawn service for the Metro Denver area. In business since 1987, we provide custom lawn mowing, aeration, fertilizing, power raking, general yard maintenance and gutter cleaning. 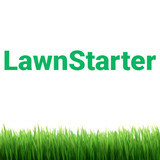 Lawnstarter makes lawn care easy for homeowners in Denver, CO. Our end-to-end platform connects customers with highly skilled, professionally vetted lawn care services in Denver to take the hassle out of lawn maintenance. LawnStarter delivers a high quality, efficient experience that saves our customers time and hassle, so they can focus on what’s most important to them. There is nothing better than having a beautiful lush green lawn. We provide full-service and environmentally-friendly lawn maintenance for residential and commercial properties. We want to be your one-stop shop for lawn care. We are committed to maintaining a clean environment. Our representatives can take care of all your property needs. Colorado Sprinkler Service provides sprinkler systems for Denver and surrounding areas. Whether in Denver needing sprinkler repair, or in the surrounding cities, we are the premier residential service, commercial service, and installation company. We meet our customers needs with reliability and professionalism. We pride ourselves on providing the individual care that you need. Our technicians have been serving sprinkler systems in the Denver metro area since 1995 with residential and commercial experience. Our sprinkler service department is dedicated to providing qualified sprinkler repair technicians throughout the Denver metro area to service your existing sprinkler system. Flatiron Sprinkler, Inc. is a full-service sprinkler, irrigation, and landscaping company serving Boulder County and beyond since 1978. We are licensed through the ASSE, the State of Colorado Health Department, and have had an A+ rating with the Better Business Bureau for over 10 years. Since 1947, Denver Brass & Copper Company has been providing quality irrigation, plumbing and industrial supplies to customers throughout Colorado and the Rocky Mountain Region. We are a whole sale distributor of irrigation & outdoor living products serving Colorado, Wyoming & New Mexico, carrying everything you need to get the job done! With 6 locations in the Denver Metro area: Highlands Ranch, Sheridan, Denver, Broomfield, Wheat Ridge and Parker and six additional locations: Colorado Springs, Longmont, Greeley, Loveland, Cheyenne and Albuquerque (known as Neumark), we are committed to serving our customers! The Brand is Colorado’s leading landscaper. We provide value added landscape and design services to those who want the best for their home’s outdoor spaces. By building a trusted relationship with our customers we successfully work together throughout the construction process, creating unforgettable landscapes reflecting the style and personality of each customer. In addition to the maintenance side of gardening, Highlands Ranch, CO gardeners can help you with garden design and choosing specific plants and grass types for your climate and area. Find a Highlands Ranch, CO gardener on Houzz. Narrow your search in the Professionals section of the website to Highlands Ranch, CO gardeners. You can also look through Highlands Ranch, CO photos to find examples of yards that you like, then contact the Colorado contractor who worked on them.